Coming soon – Fresh milk from moo to you! 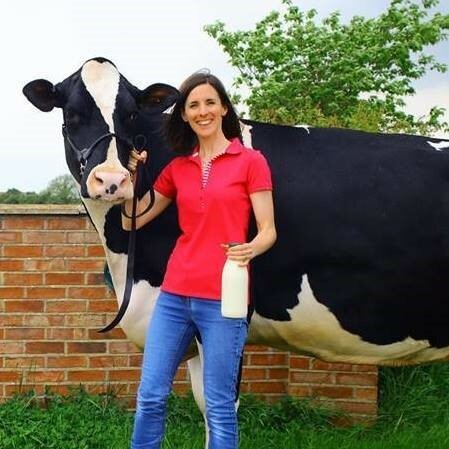 We produce free range milk from a small herd of happy, free range cows who graze on lush pastures of grass and clover at Cherry Burton, near Beverley. We are lucky enough to drink this fresh milk every day and we want to share this with you. From 7th August 2017, you will be able to purchase milk straight from our specialist milk vending machine. This is sited in ‘The Milk Shed’ at Field House Farm on Etton Road, Cherry Burton, which you will find on your left at the top of the farm drive. Please just drive up to the Milk Shed and use the vending machine to get your fresh milk. It is open from 7am to 7pm every day. Cherry View Milk owner Becky Waring says “Cherry View Milk is bringing you the opportunity to buy the freshest milk, straight from a local, family owned farm. The milk is not homogenised or standardised so you will get a good old-fashioned layer of cream on the top of your bottle. It’s a product that you just can’t buy nowadays and I want to remind people what ‘proper milk’ tastes like”. 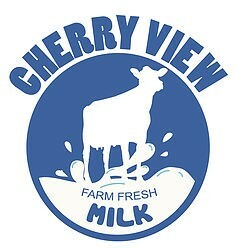 Cherry View Milk is delicious and fresher than any milk you can buy in this area. It offers a great opportunity to support local producers and gives families the chance to show children where their food really comes from. The Bay Horse Pub - This traditional village pub provides a warm and inviting environment for eating, drinking and socialising. The menu has something for everyone including vegetarian options, children’s meals and “lite bites” dishes under 500 calories! The new owners have recently refurbished the pub and it has become a popular meeting place for locals including village groups and sports clubs. It has regular Acoustic evenings and Quiz nights. The classes are suitable for all abilities and are led by a physiotherapist who understands physical limitations / injuries. The class is suitable for you as long as you are comfortable lying on the floor on a cushioned mat. All equipment is provided. These exercise classes help to loosen joints, keeps joints mobile, improves strength, balance, improves posture, helps recover after injury and helps prevent further injury / pain. The classes are suitable for all ages and gender. Classes are held in the village hall on Monday evenings, 6.30pm for beginners and 7.30pm for advanced levels. Contact Helen on 07867 525609, helen@ppaac.co.uk, www.ppaac.co.uk for more information.